The scope of the meeting is to discuss X-ray excitations of matter, in particular by intense ultrashort-pulse sources. Description of the radiation-matter interaction and possibilities for its new applications shall be in the focus. Joining theorists' and experimentalists' views shall allow to develop new ideas for future experiments, and to identify challenging 'open questions'. The workshop aims at discussing theoretical modeling and experimental approaches. Theoretical approaches may include macro- and microscopic description of X-ray excitation, in the quantum and in the classical regime. Experimental methods dedicated to generate and diagnose excited matter, complement the theory part. The focus of the talks and of the following discussion sessions should be on novel ideas and applications which might be achieved using theoretical and experimental techniques. Ample room will be given to discussion, in order to stimulate an intense exchange of ideas and to establish collaborations between various groups, active within this broad research field. Such a collaborative effort shall enable a development of new X-ray free-electron laser techniques with potential applications to basic, material and energy sciences. These new techniques might be realized within the scientific scopes of the European XFEL and the FLASH free-electron laser facilities, currently operated and constructed in the Hamburg area. 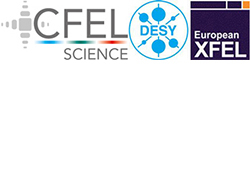 The plan is to have three main workshop sessions on: (i) low and medium excitations of matter, (ii) high excitations of matter, and (iii) status and future possibilities for x-ray FELs, also in the context of studying the extreme excitations of matter with FELs.